Paint safe all the way to the edges! As you may have heard, microfiber is the revolutionary paint-safe material that is sweeping both the car care and the household cleaning industries! It’s soft, absorbent, durable, and versatile. Now we can add another adjective to that list – luxurious! The Guzzler by Cobra has a soft, satin strip around the edges to make the towel even softer and safer, all the way to the edges! The Guzzler is a soft, plush waffle weave towel with a strip of silky soft satin sewn around the edges. The satin is just one more safeguard against scratches. An ordinary waffle weave towel is bound at the edges with regular cotton thread. This thread is not a fine or soft as microfiber. After washing and drying the towel a few times, the thread may shrink some and make the edges of the towel feel stiff. The satin trim on The Guzzler covers the stitched edges so they cannot possibly cause scratches. Also, the strip of satin is continuous. It rounds the corner of the towel and only has one seam. The Guzzler is a convenient size for cars and small trucks. The Guzzler features a plush, 80/20 waffle weave that increases its surface area for greater moisture absorption. The towel can absorb 7 times its own weight in water! In fact, this towel is 20% plusher than our original waffle weave towels to give it an even greater capacity for moisture! It will not scratch any surface and it has a magnetic charge that attracts lint and dirt. 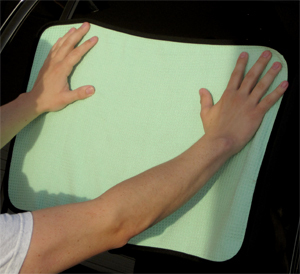 This towel will leave the inside and the outside of your vehicle spotless! The towel measures 16” x 24”; that’s nearly 3 square feet of plush fabric. It can be used ideally as a drying towel for your motorcycle, a cleaning cloth for your interior, or a polishing cloth for your metal trim. To wash your waffle weave towels, toss them in your washing machine with your regular detergent or Pinnacle Micro Rejuvenator . Do not use fabric softener or bleach. Tumble dry on low or no heat. Pamper your vehicle with satin-trimmed waffle weave microfiber. The Guzzler takes softness to a whole new level! 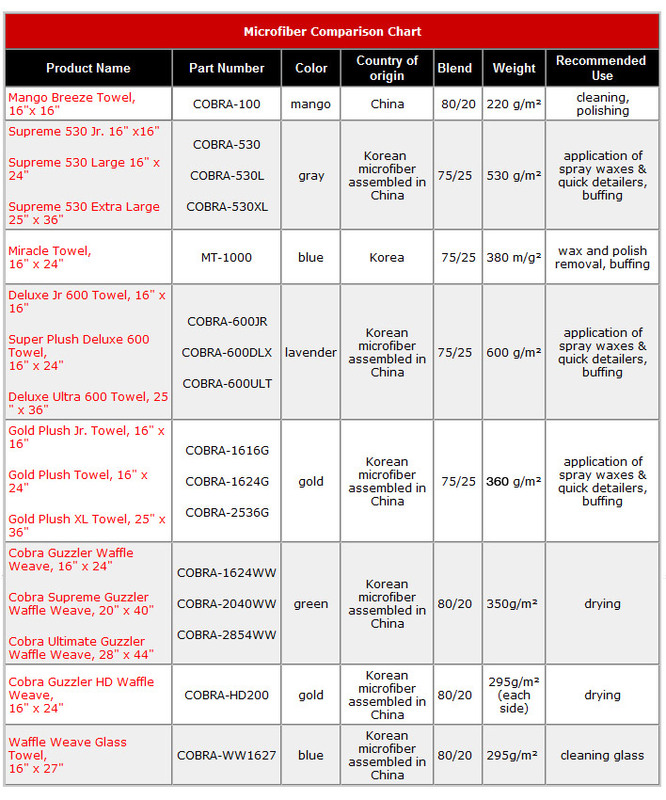 Korean Microfiber assembled in China.. The Guzzler is just one step in a paint-safe detailing regimen. The first step is washing with Pinnacle Bodywork Shampoo . This lubricant-rich formula will allow gritty particles to slide off the paint surface without scratching. 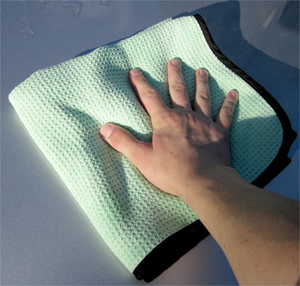 Wash from the top of the vehicle down, rinsing your wash tool frequently. For a final rinse, allow the water to flow freely from the hose from the roof of the vehicle. The water will sheet off the panels, leaving the vehicle mostly dry. Use The Guzzler to remove the remaining moisture.